VE NEWS . . .
RE: HELLO, I'VE RECENTLY JOINED! RE: WHERE IS EVERY ONE?! Ple. . . . . Many previous members of the club have now moved over the empiresedge.com Anyone else who wants to come over would be more than welcome! I know things have been slow around here lately, but I wanted to make sure everyone has a happy holiday regardless of what specific celebration you celebrate. 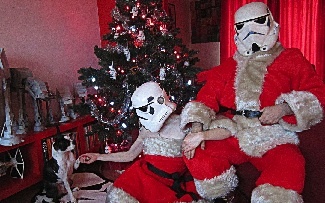 Enjoy and have a Merry Sithmas.